With just two races left in the 2012 NASCAR Chase for the Sprint Cup, five-time champion Jimmie Johnson is in position to lock up the sixth title of his career. NASCAR Betting experts expect Johnson to make a run. Capturing that next championship will require holding off the biggest challenger he has faced this season, as Brad Keselowski remains right there, just seven points behind him in the overall standings. Johnson is coming off a sports betting win at Texas that required holding off the young challenger on the final restart to take a narrow 1-2 finish ahead of Keselowski, creating a little bit of separation at the top of the table, and setting the scene for what should be another exciting race this weekend as the AdvoCare 50 goes from the Phoenix International Speedway in Avondale, Arizona. Johnson will once again be the online betting favorite this Sunday at +600 odds after completing the pole and race double at Texas last weekend. While he hasn’t won in any of his last five attempts at Phoenix, Johnson has had success here before with four wins, two runner-up finishes, and 15 top-10’s in his 18 starts. With an average finish of 5.2 and the chance to take a commanding lead at the top of the standings, all eyes will be on the No. 48 car this weekend. Some will approach betting on Johnson with caution this week since he isn’t likely to risk a late move to the front with the chance to comfortably finish in the top-five, but that certainly didn’t prevent him from winning last week at Texas so there is no reason to think it will hold him back this Sunday. While Keselowski pushed Johnson to the very end last week and is still his closest challenger in the overall standings, a total of six drivers are considered to have a better chance to win this race according to the online sportsbook odds. Defending SCS champion Tony Stewart leads that group at +800 odds after winning here a year ago, and should have a good shot since he set the track record here back in 1999 and has had a ton of success on this course. Stewart is joined by Matt Kenseth, Kasey Kahne, Kyle Busch, Greg Biffle, and Denny Hamlin as the six drivers listed at +800, with Keselowski the surprise option behind them despite his recent history. Keselowski is listed at +1200 to win at Phoenix this Sunday, even though his five wins this season match Johnson for the most in NASCAR. Keselowski is one of two drivers along with Clint Bowyer that are in position to keep their hopes alive past this weekend within the 49-point window that will be the cutoff heading in to the final race, but with so many drivers approaching this race with a more desperate attitude, it makes sense that the odds are against the top challenger winning. Keselowski will likely settle for keeping his hopes alive for the title heading in to the final race by keeping close to Johnson, and isn’t likely to take many risks to win it all. 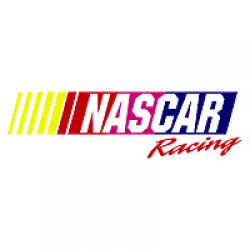 For all of the latest NASCAR news and odds, be sure to check out the best sports betting sites. Previous: Where will the Phoenix Coyotes Franchise be located for game 1 of the 2013-2104 Season?